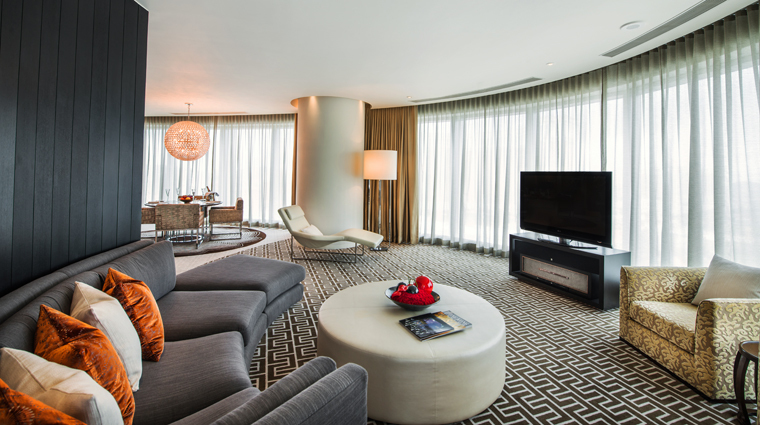 Rooms at Forbes Travel Guide Five-Star Nüwa Macau, the luxurious full-service hotel at the sprawling Macau City of Dreams complex, are contemporary and spacious. The bathrooms are equally huge with deep-soaking tubs, separate rain showers and walk-in closets. 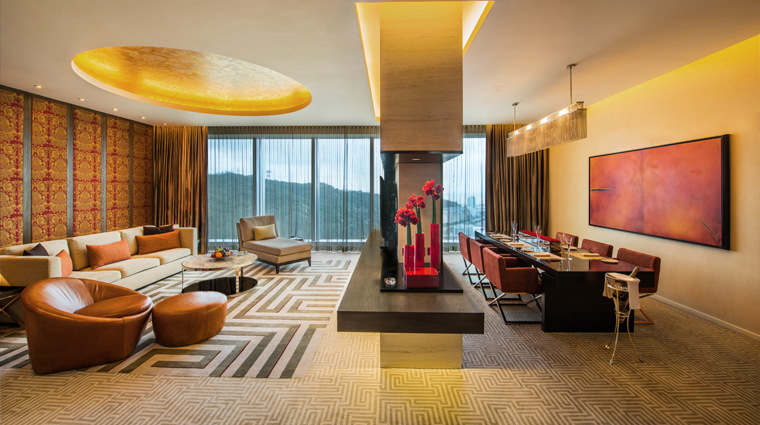 The staff at this hotel handles any request with confidence, whether it's a table at The Tasting Room, or a last-minute spa appointment at Nüwa Spa Macau. 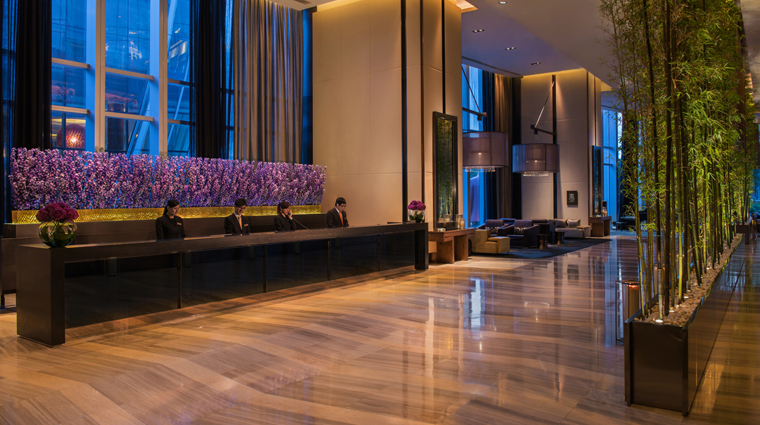 Be sure to check out Nüwa Macau's art exhibit — which opened in 2010 to celebrate the hotel's first year of business — to see the work of many well-known Chinese artists on display. The Tasting Room is a contemporary European restaurant under the direction of chef Guillaume Galliot, whose innovative gourmet cuisine is paired with a deep wine cellar and romantic lounge area. Meanwhile, Jade Dragon is an ideal venue to sample a variety of upscale Cantonese dishes and one of the finest selections of Chinese teas in the area. Nüwa Macau is part of Cotai’s popular City of Dreams, a massive complex where you’ll find restaurants, spas, shops and a casino. It’s also home to The House of Dancing Water, a spectacular ensemble performance on par with the world’s best. The staff at this luxury Macau hotel go out of their way to provide efficient, friendly and personalized service sure to make you feel like a valued guest. Everyone we encountered during our stay, from the housekeeping staff to the bellmen, greeted us by name and with a smile. It’s a pleasure returning to your guest room every evening to find the bed made, bedroom and bathroom completely cleaned, lighting dimmed, curtains drawn and special treats such as chocolate truffles, a bottle of foot gel and stick of lip balm left out as small gifts. The Five-Star hotel’s spacious gym is outfitted with state-of-the-art TechnoGym and Precor cardio and strength-training equipment, including treadmills, ellipticals, full sets of free weights and a variety of weight machines. An added perk are the chilled bottles of water and Pocari Sweat sports drink are set out next to a big bowl of fresh fruit. 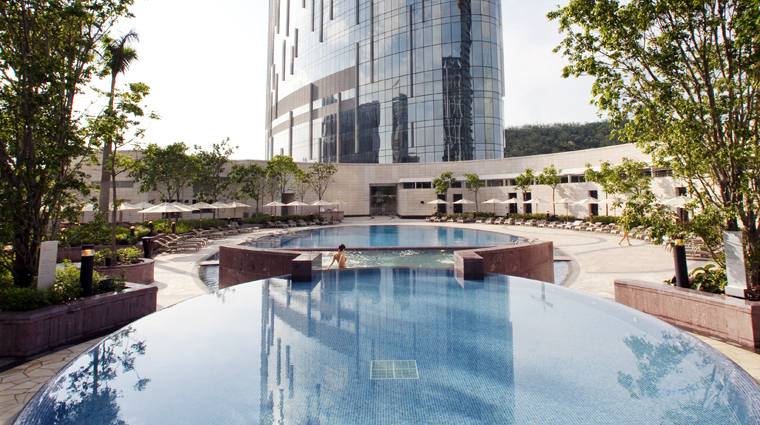 Whether you’re staying at the hotel on business or pleasure, we suggest finding time for a pampering visit to Forbes Travel Guide Five-Star Nüwa Macau Spa, where you can luxuriate in a signature, strong-pressure tui na massage, seaweed facial or other assortment of expertly delivered body treatments. Walk-in visitors are welcomed at The Tasting Room, but we recommend making advance reservations to ensure you score a table. Leave room for dessert, too, because no meal is complete without the sinfully delicious chocolate banana millefeuille. There’s no need to pack anything but your essential toiletries. 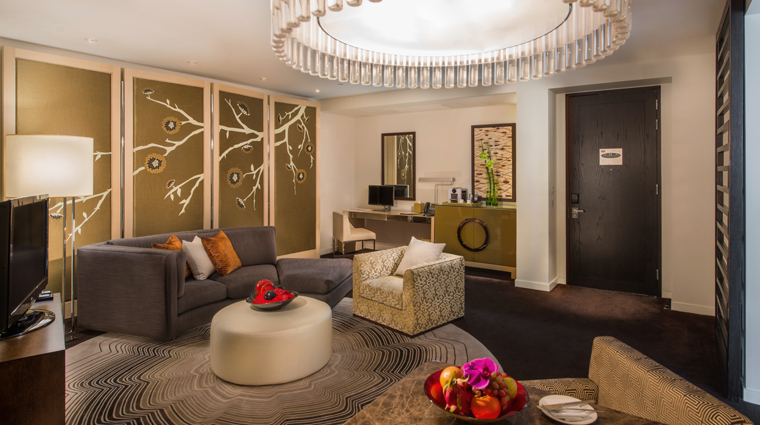 All guest rooms and suites at this luxury Macau hotel are stocked with designer bath products from Etienne Aigner, along with a full assortment of other amenities such as shaving and dental kits, cotton buds, emery board and hair bands. You’ll have some three dozen casinos to try your luck at during your stay in Macau, but the closest one to Nüwa Macau is located just outside a side entrance that connects to the City of Dreams lifestyle complex. You’ll also find a small gaming area in The Countdown Hotel, which is part of City of Dreams. Whether you’re planning to visit the Forbes Travel Guide Five-Star hotel during the heat of summer or dead of winter, bring your swimsuit because the hotel’s outdoor pool and spacious Jacuzzi are both open and heated all year round. All guest rooms at this luxury Macau hotel are outfitted with plush queen- or king-sized Simmons beds made with 600-thread count linens and goose-down duvet, while the spacious marble bathrooms feature a walk-in wardrobe and shower, his-and-her sinks, mounted 17-inch flat-screen TV and variety of designer bath products from Aigner Black by Etienne Aigner. 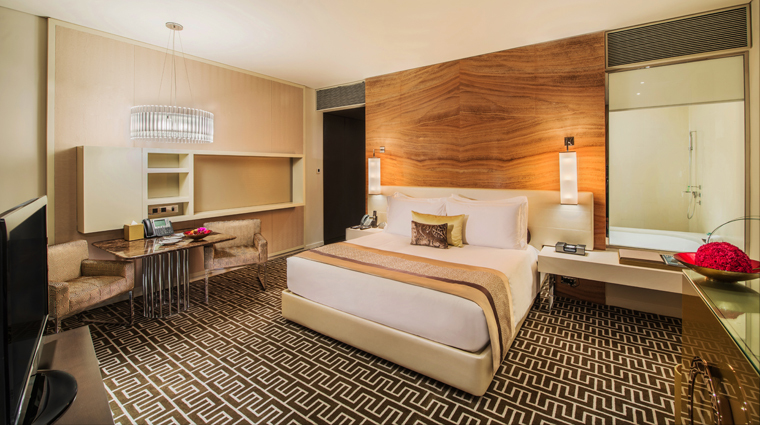 Bedroom amenities include a 42-inch flat-screen HDTV hooked up to an interactive entertainment system, iHome docking station, complimentary Wi-Fi and bottles of water, bowl of fresh fruit, Harney & Sons tea bags and Nespresso coffee capsules that are all replenished daily. The highlight of all guest rooms at the Forbes Travel Guide Five-Star hotel, however, are arguably the splendid views you’ll enjoy of the glitzy Cotai and Taipa scenery through floor-to-ceiling windows — ask for a room on a high floor to get the best vantage point. We were also impressed by how well soundproofed our guest room was — we didn’t hear a single obtrusive noise from the hallway, outdoors or neighboring rooms during our stay. The well-appointed bathrooms in the guest rooms at Nüwa Macau are fashioned from marble and offer plenty of room for two people to comfortably use at the same time. The spacious grooming area features two Duravit sinks outfitted with Zucchetti fixtures, a large mirror that spans the length of the countertop and a small side vanity mirror. 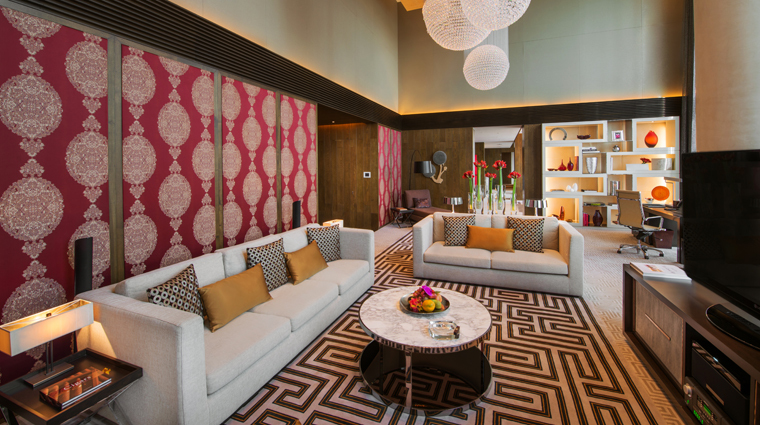 This luxury Macau hotel’s serene lobby is marked by an emphasis on straight, stark lines and is adorned with distinctly Oriental flourishes such as a long, thin row of green bamboo, ornate Chinese bronzed vases and modern Asian-style paintings. The hotel’s Oriental heritage is celebrated with a variety of attractive decorative pieces placed throughout the premises, from a bamboo forest and bronzed Chinese vases in the lobby to Asian-style artwork and feature panels in the guest rooms. 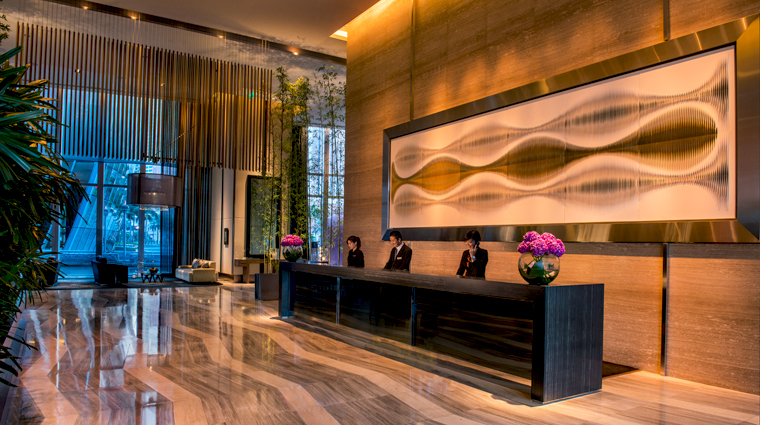 With its big, boldly designed lobby and flashing colored lights illuminating the building’s exterior during the evening, this Five-Star hotel fits right into the glitzy Cotai scenery — and wouldn’t look out of place on the Las Vegas Strip, either. 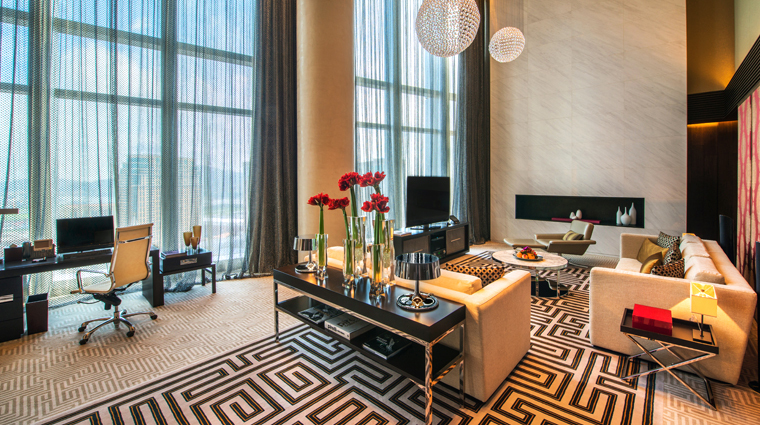 From a personally addressed welcome letter in your room to regularly being addressed by name during your stay, this luxury Macau hotel’s accommodating staff strives to provide a friendly, personalized style of service.